90614E; 28415; 28484; 28869; 29028; 88884E; 89920E. Please be advised that some wheel numbers may have different configurations depending on the vehicle specs. 90% of the wheels for this application have 22mm studs, 10% have 20mm studs. Therefore we will also need to know if you have 20mm studs or 22mm studs to make certain you will receive the correct parts. Please include this information in a note to us with your order or give us a call and we will be happy to help. This information will ensure a perfect fit. 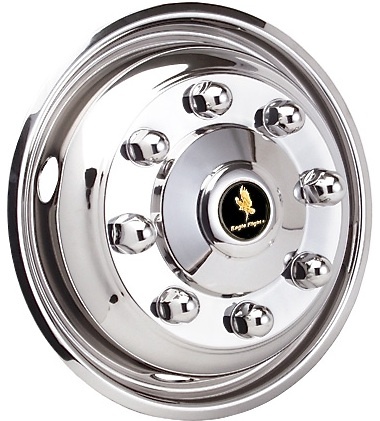 The price is for a brand new set of (2) for FRONT WHEELS and includes shipping within the contiguous 48 states. Outside this area contact us for a quote.